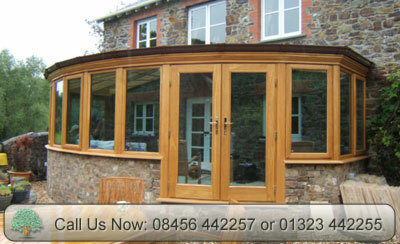 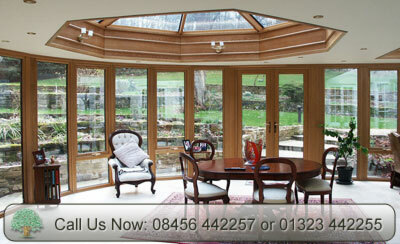 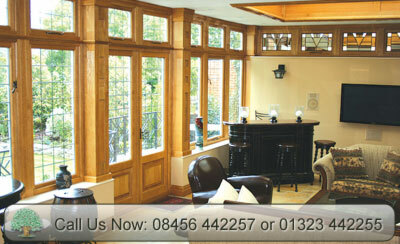 You can’t beat oak orangeries for the natural warmth they have that man-made materials cannot replicate. 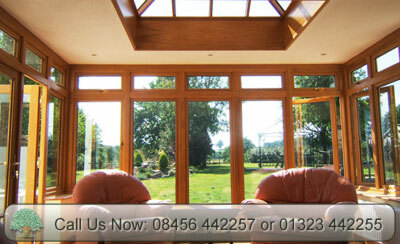 Oak framed orangeries can last a lifetime, the interior can be naturally clear finished or stained to enhance the beautiful grain and reveal a gorgeous furniture finish that everyone will admire. 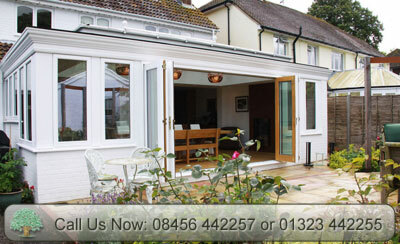 The exterior can be left to weather naturally and age beautifully, stained or painted to blend with existing window frames and doors. 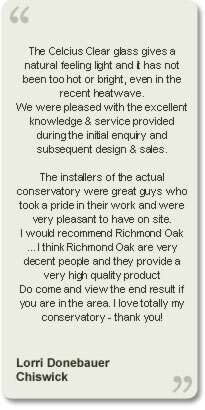 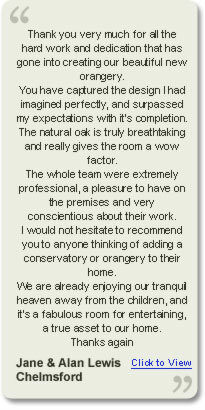 Our Team at Richmond Oak can manufacture and install your bespoke oak orangery, custom designed specifically to suit your own home and requirements. 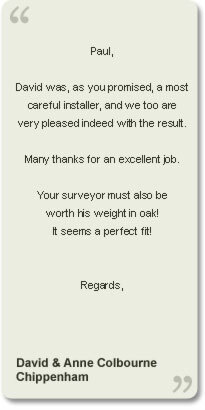 There is nothing too large or too small for us to assist you with. 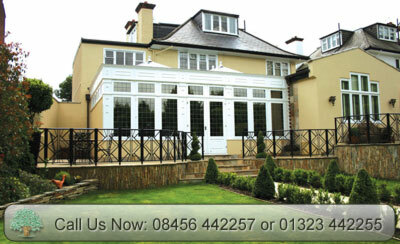 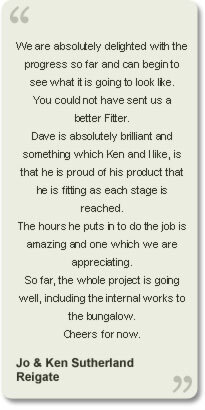 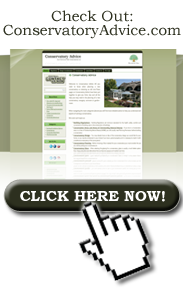 Our designers all have many years of experience to deal with the most difficult or unusual of situations. 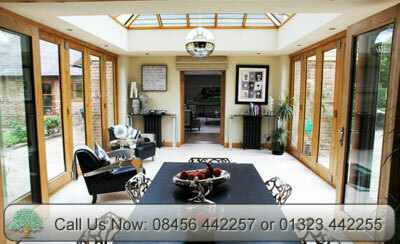 Kitchen Orangeries make a wonderful focal point for relaxed family living, extending the existing kitchen to add a seating area or a space where everyone can eat together informally. 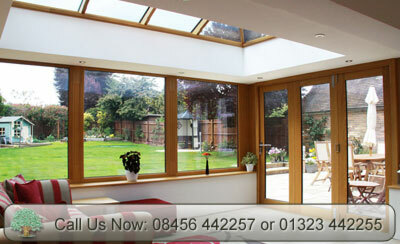 They can turn a dark room into one flooded with natural light from the side windows and roof lanterns. 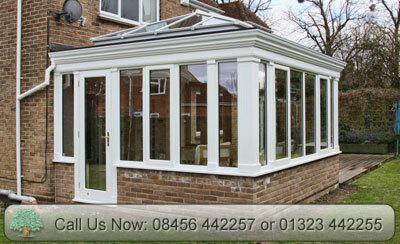 Dining orangeries are great places to entertain, especially under a starlit sky at night. 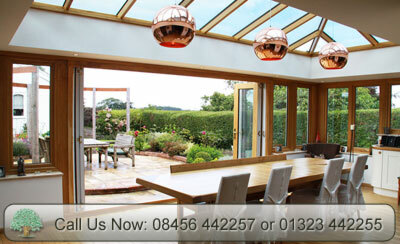 Additional ambiance can be achieved byconcealed low-voltage lighting and sunken ceiling lights. 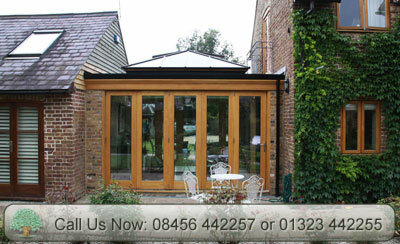 Use of solar control glass and underfloor heating can ensure your oak orangery can be used all the year around. 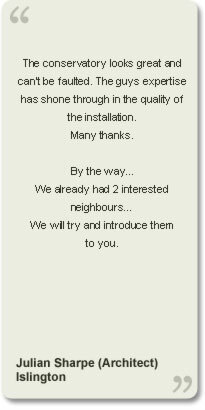 Contact us now for advice or to arrange a Free Site Visit from one of our highly experienced designers who will provide an exclusive 3D visual model of our proposed design, which would normally cost over £500. 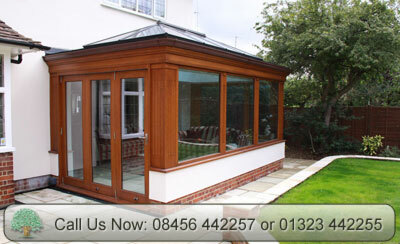 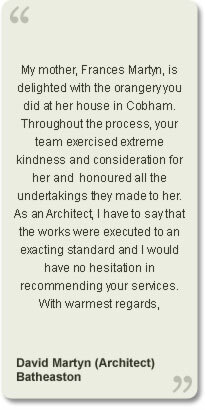 You could pay an architect several thousand Pounds for what we are currently providing you absolutely Free of charge.